Young girls love this Little Red Riding Hood cloak in scarlet red which was a very common color in England and Virginia (possibly other areas). Short cloaks were the preferred cloaks for girls during the second half of the 18th century. 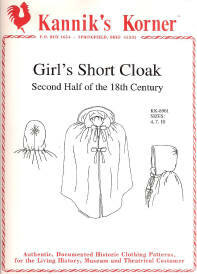 Very convenient for hard-playing girls, short cloaks stay closed whereas full length cloaks get in the way. 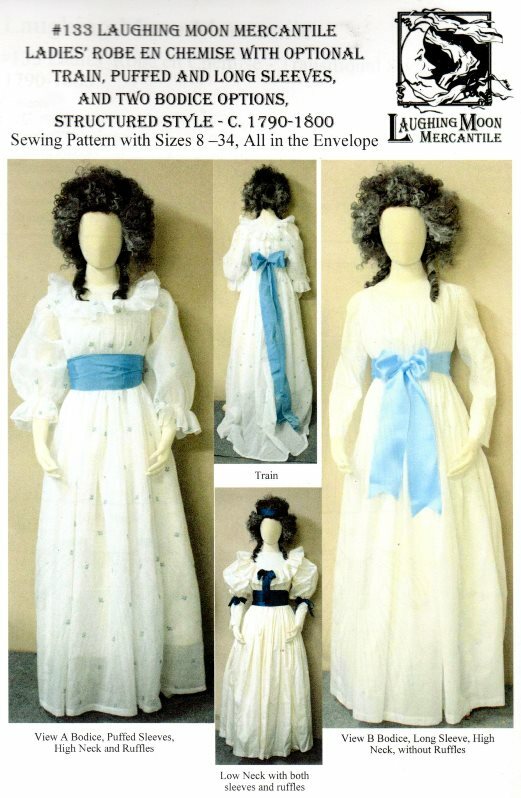 This pattern may be easily lengthened requiring additional fabric and tape.